"Even the parents were out of their seats, creeping closer to the mat, and counting down the final seconds of the night’s final match. Mansfield junior Noah Jellenik laid flat on his stomach, holding off Franklin’s Riley Downing and waiting for the final horn to sound. Although Downing won the 285-pound match 6-2, Jellenik had accomplished his only goal, which was to avoid a pin. 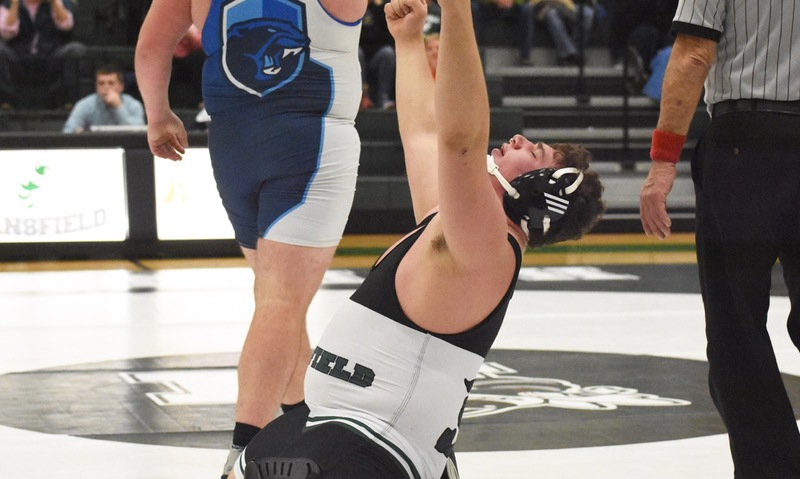 With the Panthers only earning three points in the final match of the hotly-contested dual meet, Mansfield held on for a 30-27 victory." Hard fought loss to Mansfield 30-27 tonight. Pin from Jordan Carlucci and tech by Dylan Nawn.